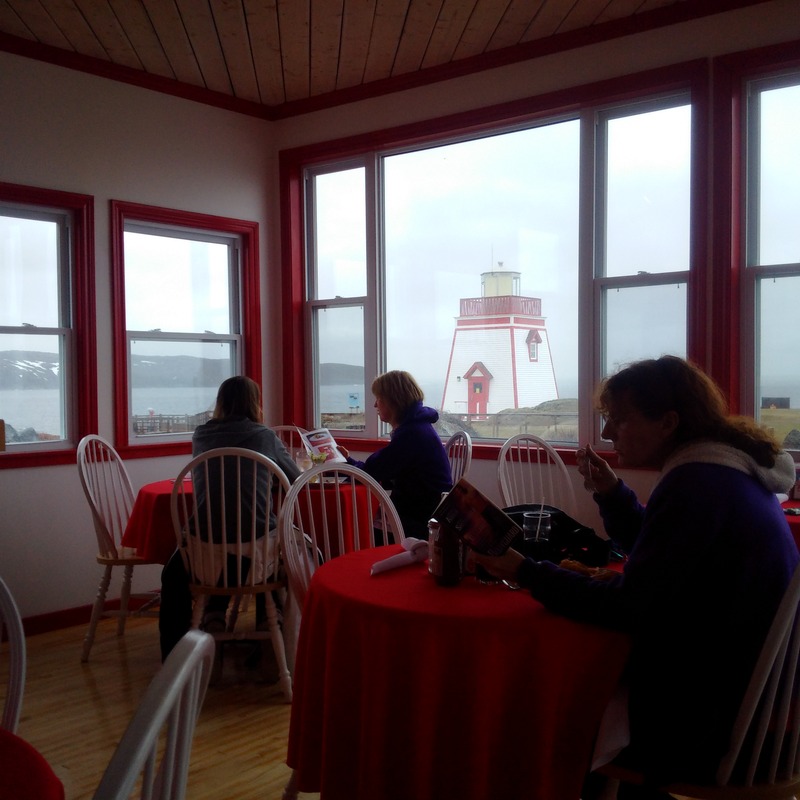 The Lightkeeper’s Cafe is perched on the edge of Fishing Point, St. Anthony, NL overlooking the Atlantic Ocean. It is a whale watchers and iceberg hunters paradise as the restaurant has a beautiful view with many glass windows. 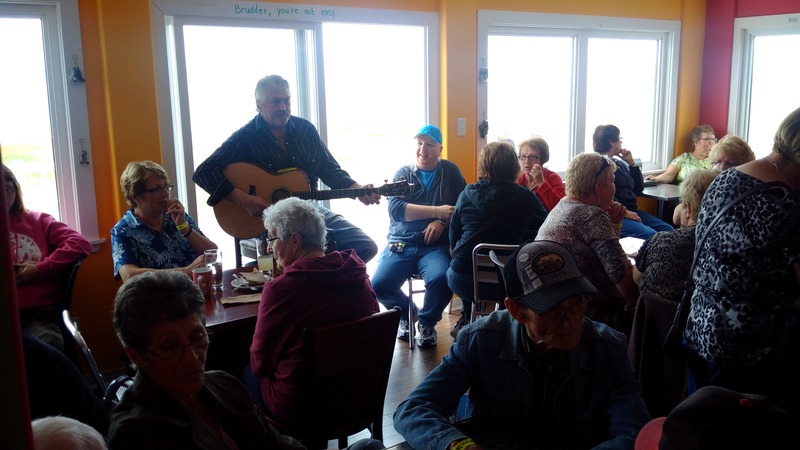 Lightkeeper’s has been recommended in Where to Eat in Canada year over year and is known for its delectable seafood dishes of chowder, fish cakes and pan or deep fried fish meals. 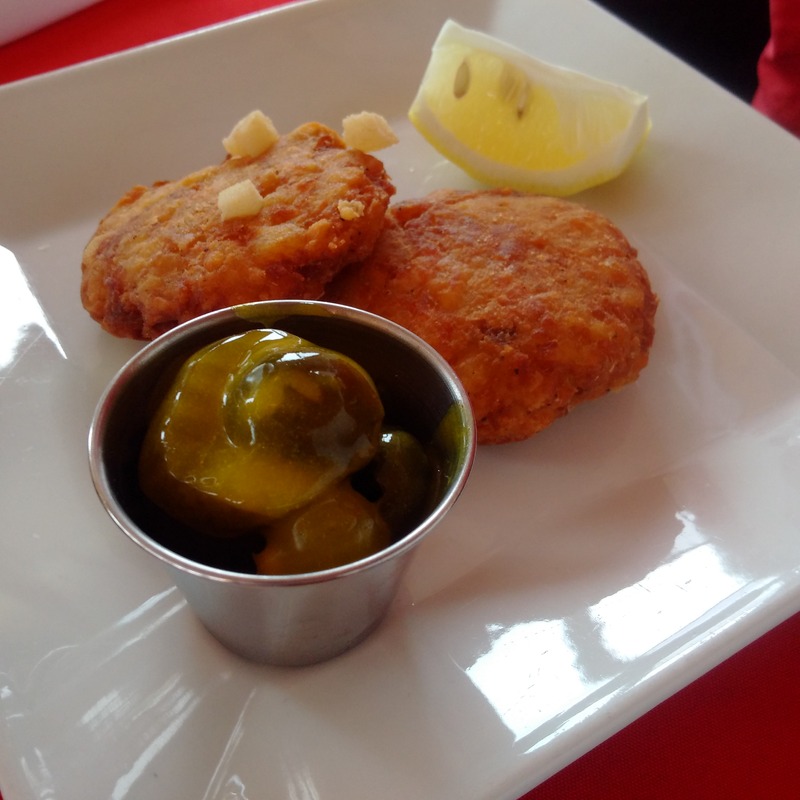 The salted fish cakes with scrunchions and pickles were a perfect appetizer, as is the seafood chowder with exceptionally generous portions of fish. 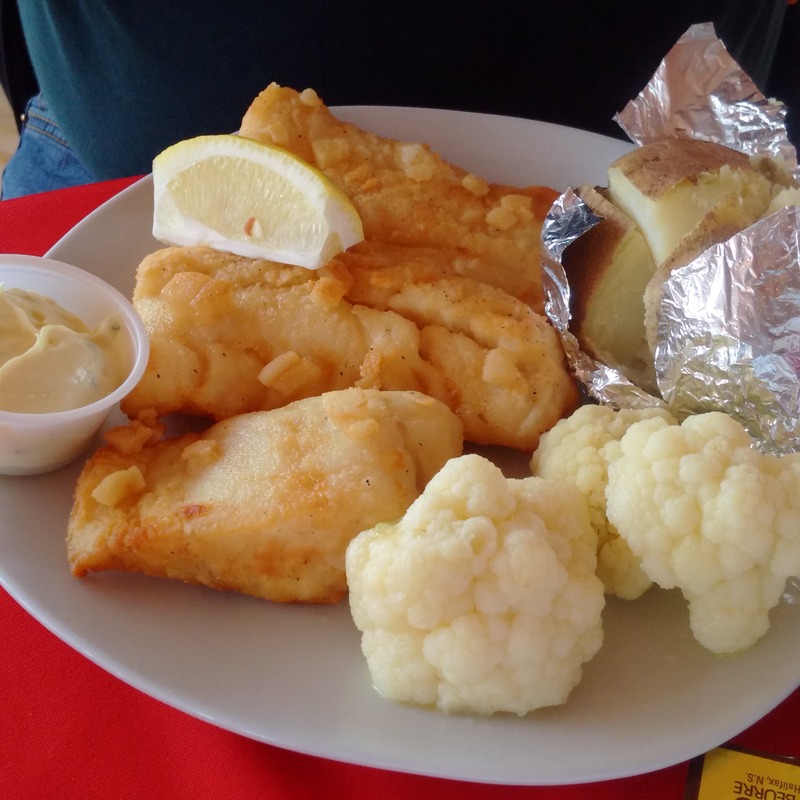 One never goes wrong with deep-fried or pan fried cod. I opted for the halibut dish on this visit (depicted in the gallery below), it was so wonderfully prepared. I was impressed to see Ben Poughman of Port au Choix’s art hanging on the wall. I would highly recommend this restaurant when visiting St. Anthony on the Great Northern Peninsula. It has the perfect location, great atmosphere, superb staff and delectable seafood dishes that caters to those craving something authentic and local. 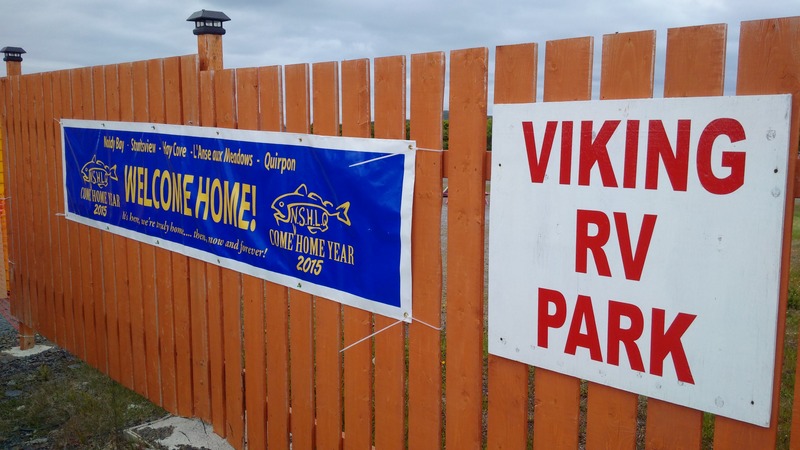 If seafood is not your thing, you can also dine in the only sod hut restaurant in North America, enjoying Viking Dinner Theatre and a Great Viking Feast next door! 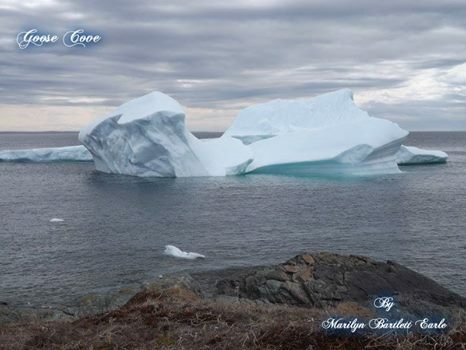 Tip of Great Northern Peninsula Best Place for Iceberg Watchers! 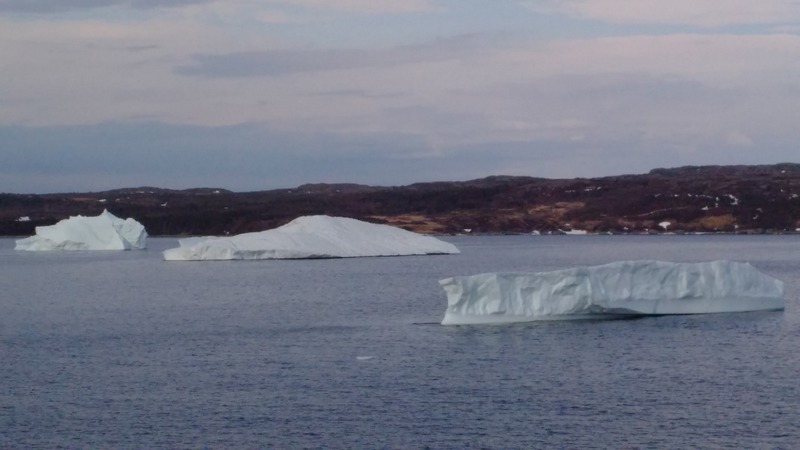 The icebergs continue to dominate our harbours – can you imagine this view from your window? It is a common occurrence. 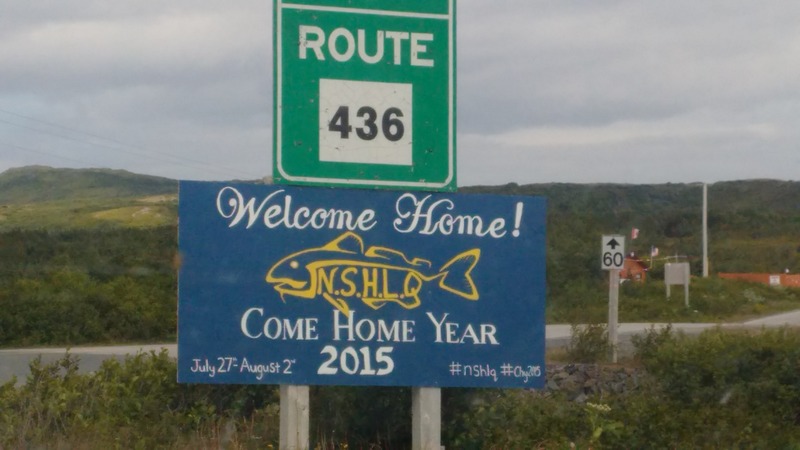 Tourists come in the tens of thousands to St. Anthony, Goose Cove, L’Anse aux Meadows, St. Lunaire-Griquet, Conche and Englee to see the dominance of the ice beauties as they hug the shores. 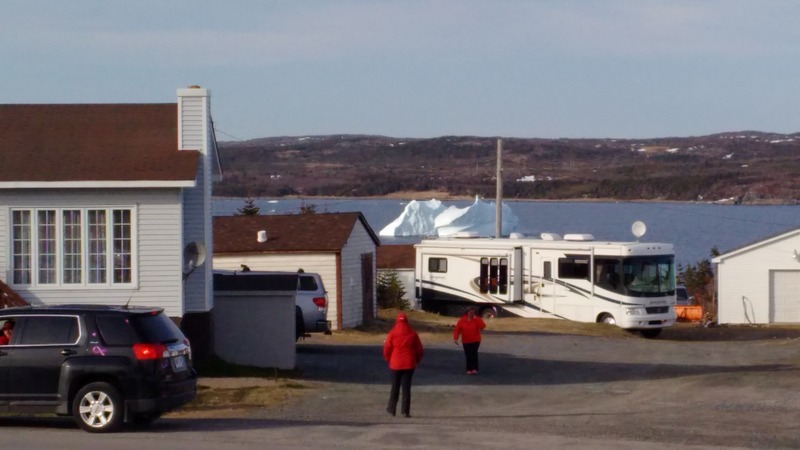 Get up close and personal with these big bergs. Next weekend is the beginning of the Annual Iceberg Festival. 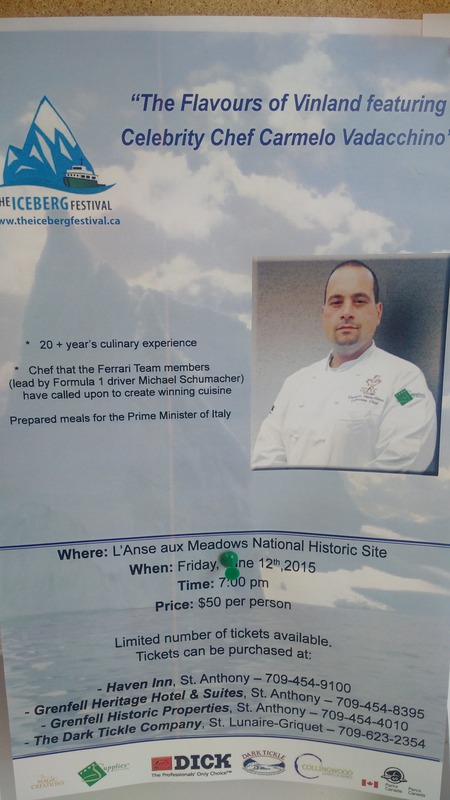 Learn more about all the fun events planned from June 5th-14, 2015 at http://theicebergfestival.ca/schedule/. 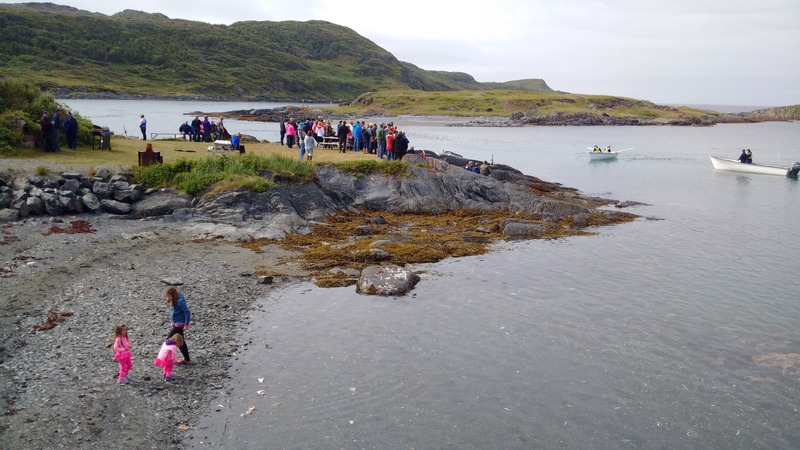 Until you see these giants up close and personal, you’ve yet to really experience the uniqueness of the Great Northern Peninsula and rural Newfoundland & Labrador .